This article is a detailed list of all the thin-and-light laptops built on Intel’s Kaby Lake (or Kabylake) hardware platform, starting with fanless Core M (Core Y) ultraportables, continuing with the mid-range Core U options and Core HQ models, as of the beginning of 2017, when these were released. 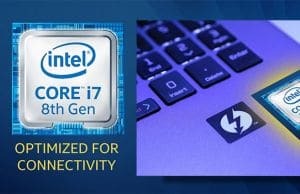 Kabylake is the 7th generation of Intel Core processors and as a result, Kaby Lake CPUs can be identified by the letter 7 after the dash in their naming. Kaby Lake Core Y (also known as Core M) – low-power processors with a TDP of around 4.5 W, usually meant for tablets and ultra-thin fanless computers. Includes the Core m3-7Y10, Core i5-5Y54 and the Core i7-7Y75 . The naming is a little confusing, but you can tell this series apart based on the letter Y after the generation series (7). 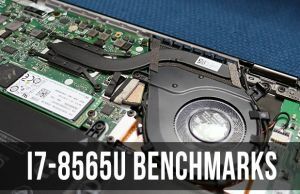 Kaby Lake Core U – mid-level dual-core processors with a TDP of 15 or 28 W, meant for a vast range of portable laptops and also included in mobile full-size notebooks. Includes the Core i3-7100U, Core i5-7200U or Core i7-7500U and CPUs in this series are identified by the letter U at the end of their name. Most are bundled with Intel HD 620 graphics, but some are bundled with faster Iris 640 or Iris 650 Pro (the 28W models) graphics. 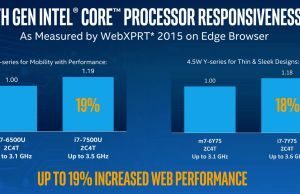 Kaby Lake Core H – dual or quad-core processors with TDPs between 35 to 45 W, bundled with Intel HD 630 graphics and usually meant for multimedia, gaming and other high-performance notebooks. Includes the Core i7-7700HQ, Core i5-7300HQ or the Core i7-7820HK (uncloked multiplier). If you’re reading this article in 2018 or later, you should also check out our articles on the updated platforms: the Amber Lake Y, the Whiskey Lake U and Coffee Lake H. A lost has changed in the meantime, and not just in terms of performance. You’ll find a few details about these processors in the picture below, but we’re not going to get in depth on the particularities of the Kabylake platform and how it fares against the previous Intel generations in this article, that’s a topic for another post (will be available soon). Back to our listing then. In order to keep things organized, the article is split in a few sections, based on screen size. We’re specifying the form-factor for each unit, type of screen, CPU and GPU, the battery size, the weight and the starting price. Clicking the links on each unit’s name will take you to our more detailed articles and reviews on that device, while clicking the links on the prices column will offer more details about the available configurations and up-to-date prices at the time you’re reading this post. This article is a continuous work in progress, as we add to it as more notebooks become available. In case you spot anything that should be in here and it’s not, please let us know in the comments section at the end of the post. The first section includes the smaller ultraportables, with screen sizes under 13-inches in diagonal. 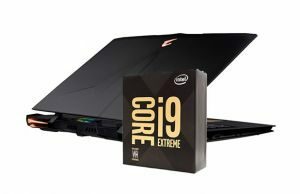 Next we have the 13 to 14-inch options, usually the best all-rounder for those looking for performance, looks, build quality and longevity in their computers. Next we have the 14 to 14.9-inch units, usually business computers with a few extra features and traits, but also a few ultraportable gaming notebooks. And then we have the full-size portable laptops with Kabylake hardware, with 15 to 18-inch screens and all sorts of specs and configurations. In order to keep within the topic of this article, we’re only including thin-and-light computers, which means they have to weigh under 6 pounds (for 15-inchers) or 7 pounds (for 17-inchers) and have a total body thickness of under 1.1 inches. Due to the weight restrictions, some of the most powerful Kaby Lake notebooks are not included here, but you can find more about most of them from these articles on laptops with Nvidia 1050, 1060 and 1070/1080 graphics. slider: 2-in-1 laptop whose screen slides up and down on top of the body and reveals a keyboard hidden underneath. my selection of budget ultrabooks. Hope you’ll find this article helpful. As mentioned earlier, we are doing our best to keep the lists up-to-date, but it’s a tedious job and sometimes we might not be able to find all the units that should be in here. So if you notice anything that’s missing, please tell us about it in the comments section. Thanks for clarifying that for me. BTW, sorry about the misspellings and grammar sentences in my previous post. I’m mobile and was texting from my phone. One more question. Kaby Lake was supposed to add native USB 3.1 Generation 2 (10 Gbit/s) support, but the first CPUs did show no such feature. What about the other chips that are coming out in January? Can’t say anything about those. I was actually expecting TB3 native support, but looks like that’s not the case. I have some doubts that you might clarificar. Will the Asus Zenbook UX510UW come with the 7th generation kaby lake processors outros of the box? Which are the diference between October Kaby lake laptops and upcoming december/January kaby lake laptops? 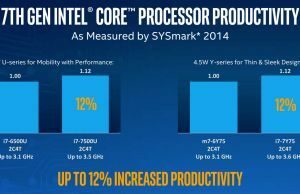 Only the dual core ULV series of Kaby lake have been launched right now: COre Y (4.5W TDP) and COre U (15W TDP). The quad-cores and other higher power options are scheduled for January. The UX510UW is built on a Core U platform and will be available with KabyLake Core U processors around October. Thanks a lot for the information Andrei. So, I believe Asus will launch Zenbook UX510U in my country already with Kaby Lake inside. Is this laptop already on sale in the US or other(s) country(ies)? I’ve seen some Skylake configurations listed in the Northern European countries, but no Kabylake version yet. BTW, I’m going to have a preview of this series in about 10-14 days, stay close. Hi Andrei, I just saw on Asus website that they add 2 14 inch zenbooks, do you have any idea called UX410, will you review these as well ? Interesting. Looks like they put a larger screen on the UX310’s body. I’ll ask about them, I might get my hands on them, but not in the immediate future. I see Dell has introduced the Inspiron 13 2n1 with a Kaby Lake processor. the 7500 u. with 512 ssd hd, 16 gb ram, touchscreen, itcan be had for $999 with a $100 off coupon. Any ideas to review it? I’m really looking for a lightweight, smaller footprint 12-14 to convert to a desktop, with availability to grab it and take it along. It’s getting harder to find such a machine. I think this Dell above may work. Im just looking to find a Kaby to replace my dead main machine! HI Mike, thanks for the headsup on the updated Dells. I have limited access to Dell products lately, so I can’t tell if I’m going to review it or when that’s going to happen. THere’s a good reviews of that model here, but with Skylake hardware: hnotebookcheck.net/Dell-Inspiron-13-7368-Convertible-Review.169209.0.html . Kaby Lake is not changing much imo. Your listing and reviews are really helpful. That’s a great job! Thanks. I am told MacBook ultrabooks are not that friendly with regard to MSOffice products. Since I am an academician my work is mostly related to Word, Power Point,etc. I am looking for a light product with a small screen considering the advantages for frequent travel. I am based in India. I read the reviews and a bit overwhelmed to choose the right stuff. So your suggestion will be useful. MS Office works fine on Macbooks as far as I’m aware, but I’m not a Mac user or even an Office power user, so can’t share any insides. Google should be more helpful. What is the difference between KabyLake and Skylake? 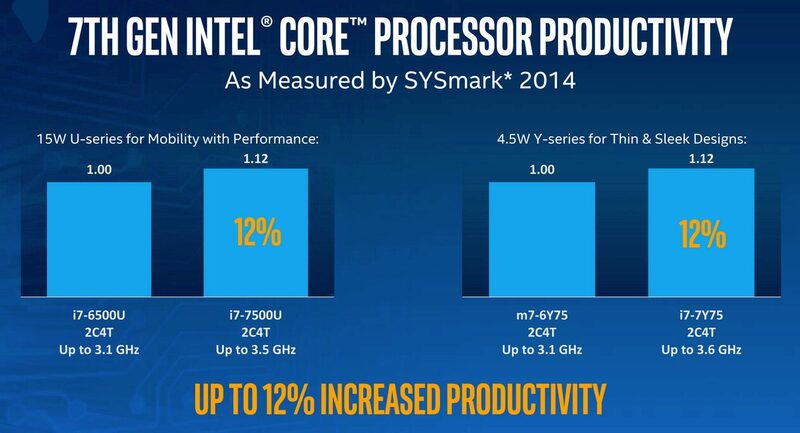 Skylake is Intel’s 6th generation of hardware, KabyLake is the 7th, newer hardware release. Google is your friend. I’m tired of carrying around my 2,3kg-15″ laptop and I’m looking forward to purchase a device of 13-inches of size, FHD (1920×1020) matte screen, 1,5kg or less of weight, backlit keyboard, with enough battery for at the very least 8 hours of normal office usage but ideally 10 hours. Those are pretty much my only requirements. Andrei, taking this into account, what would you suggest for my requirements? 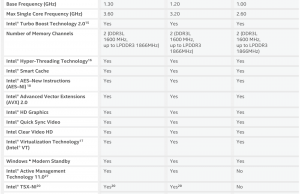 Because I have been looking at this new convertibles/hybrids on the market, but besides getting confused with the variation of models, I still see that regular clamshell laptops offer the best affordability and also best ratio of performance/price. I still worry a bit about raw performance because I don’t own a desktop PC and my laptop is my main device, sometimes to run decently things like Google Earth or big Excel spreedsheets, one needs at least a Core i3U or i5U. A dedicated GPU also wouldn’t hurt, as I have one in my current laptop, but I’m guessing when we enter ultraportable territory, adding a GPU skyrockets the price and decreases battery life. 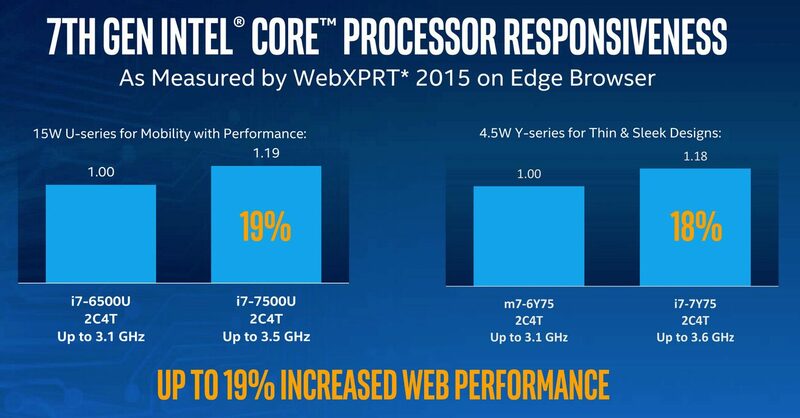 Also I’ve read that newest Intel Core CPUs have increased graphic performance. Oh and by the way, just for curiosity, aren’t there any models around with Intel CPU + AMD GPU configuration? Only NVIDIA? 1. Most configurations with dedicated graphics rely on Nvidia chips. AMD can’t really compete in terms of performance these days. They have an exclusive deal with Apple, but that aside, there are very few units with their graphics. 2. There are some ultraportables with dedicated graphics, but if you want to get something truly light and thin, you’d have to go without. Integrated graphics are pretty capable nowadays though, you’ll only need dedicated chips for games and maybe for some video/3d editing software. These aside, integrated graphics are good enough, and even integrated graphics are available in different forms. For instance, there are some Core I7 CPUs with Intel HD 540 Iris graphics, faster than the regular solutions you’ll find on most other laptops. You’ll find a post about the Dell XPS with such a configuration on the site. 3. You haven’t mentioned a budget, but my first pick would be the Dell XPS 13, a compact and light 13-incher with a matte screen. This has been my ultraportable of choice btw since January 2015, there are a few articles here on the site about it and the updated version, I’ve documented my experience over time. 4. You have other options too, like the Asus Zenbook UX306, Lenovo ThinkPad 13, Acer Aspire S13 and others, each with their pros and cons, and all cheaper than the Dell XPS. Check them out. 5. If you’re not in a hurry, I suggest waiting for 2-4 more weeks. Intel are curently updating the hardware line and most manufacturers will launch their Kaby Lake updates by Ocotober. 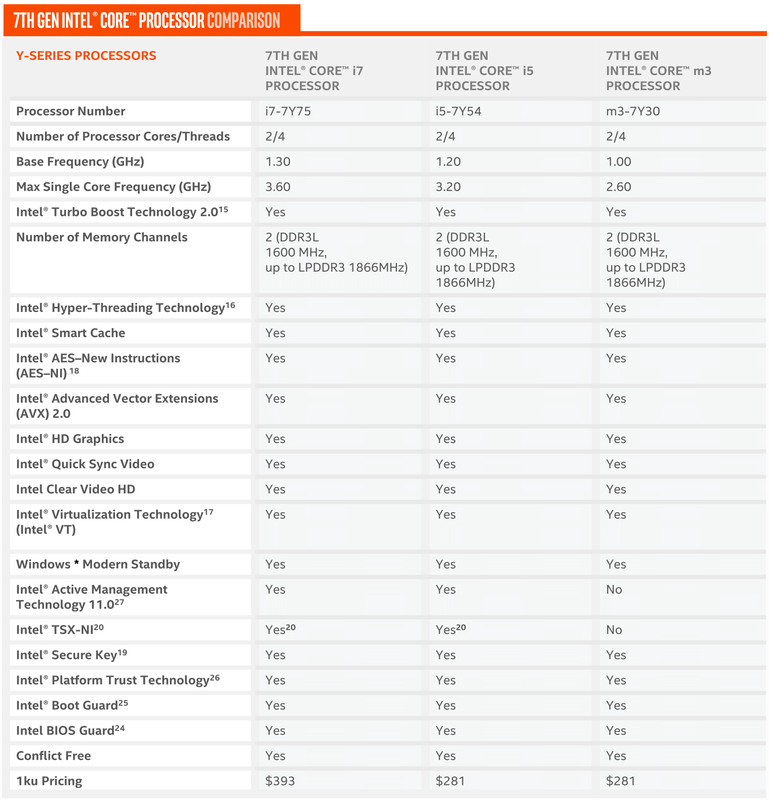 If you want to buy the laptop today, you’d have to go with Skylake hardware in most cases. Hi, thank you very much for your detailed response. Indeed I can wait another month or two for the Kaby Lake update, as I’ve been holding out this purchase for at least a year now to make up my mind. This is why I keep an eye on this useful website and I will be eagerly awaiting your upcoming reviews of the Kaby Lake models. Since you took the time to provide very valuable info, I will expand on some details on my original comment for clarification. If you can provide any further insight about it, I will be glad to hear. My budget would be around 1000€ in Europe. Since I will start my research grant soon, I’m willing to spend a bit extra for something that will help me stay productive, so I’d say 1200€, but only if it’s worth the investiment. I am one of those consumers who always chases the best quality/price ratio for my needs, I hate to see money wasted. * 16 GB of RAM would be very nice, my current laptop has 8GB and I think it already feels short sometimes, specially when doing extended browser sessions. * At least a Core i5 CPU. As per your recommendation, the two devices I have in mind right now in the 13″ ultraportable category are the Asus Zenbooks and the Dell XPS. Now, my main focus of indecision right now is between going full ultraportable and thin (and hopefully more battery life) or once more going for a regular sized 15,6″ model. I’d love to have a thin and light device to carry on my regular backpack instead of a separate bag and at the same time with enough performance for my work needs (and without the need for too many adaptors to compensante for poor I/O). The point is I don’t need to split myself between multiple devices like most people do with desktop-laptop-tablet. I don’t fall on either spectrum of very high performance (desktop) or very high autonomy (mobile). In terms of performance, I’m not much of a gamer, and while I do sometimes need some basic photo editing/management or video editing, or running GPU intensive software, it is not on a daily or even weekly basis. To serve as a desktop, I can always connect a laptop to an external monitor and mouse/keyboard to increase comfort and ergonomy for long hours on a desk. On the other hand, my mobile needs are well covered with my smartphone and at this point I see tablets simply as phones with large screens. As long as the laptop has enough battery for a 7-8 hours and is light enough to be taken with me everywhere, it’s certainly mobile enough for me. So to sum it up, everything I need to do for work and personal tasks I can accomplish efficiently with a laptop. This got even easier with Windows 10, that allows to run both desktop software and universal apps on the same OS. I’m receptive to a hybrid/convetible laptop with touch and particularly inking capabilities, but as I wrote in the other comment, I find that more often than not, such devices cost more for the same hardware specs in comparison with traditional clamshell laptops. 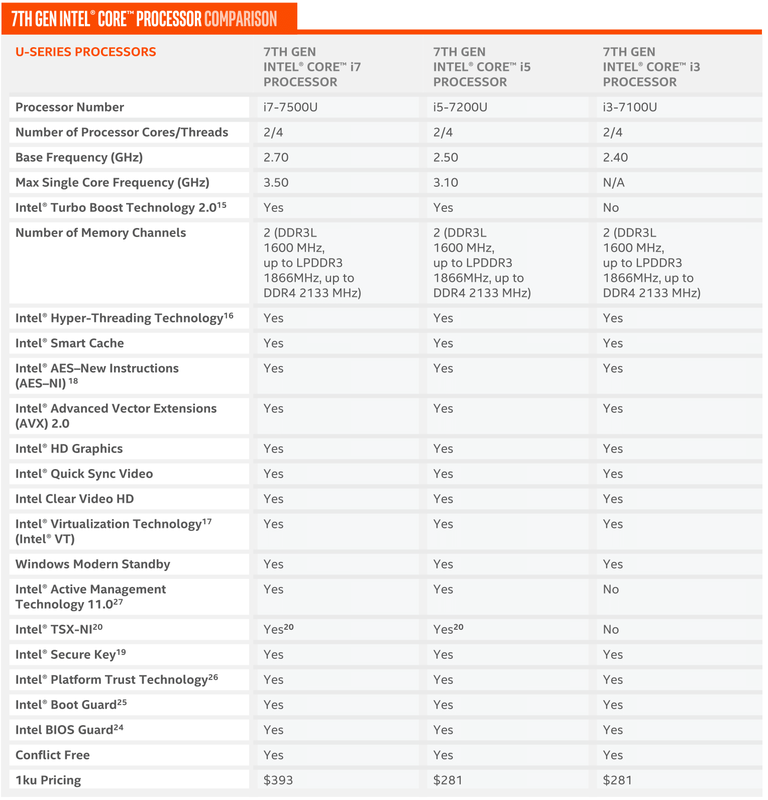 As an example of this, for some time I considered buying the Surface Pro 4, mostly because it promises to be a laptop replacement and I am curious tabout digital ink capabilities because I like to write to put my ideas into paper, and the pen experience on the Surface Pro 4 is highly praised, but besides the expensive price tag for the Core i5 version, coupled with selling the type cover separately, I feel like it wouldn’t be enough to be the all in one device I’m looking for, it would still feel too much like a secondary device to be used in conjunction with another computer. I guess the main question is how lightweight and ultraportable can I go without losing the performance I need. I’m seriously wondering, perhaps the Intel i7 CPUs with HD 540 Iris Pro graphics would do fine for me and my occasional graphical needs. I hope I was able to transmit my ideas with clarity, as english is not my native language. You mentioned you want a matte screen and that pretty much rules out all hybrids, which come with glossy touchscreens. Also, I wouldn’t be concerned about performance on a modern Core U processor. From what you’re saying, it should be fat enough. The Iris i7s are an option to consider, but there are few laptops built on this platform and they are mostly outside the budget you mentioned. I’d stick with a Skylake or Kabylake regular i7, although even an i5 would probably do just fine for what you need, paired with at least 8 GB of RAM and a fast SSD (preferably PCIe). So, I’d stick with the suggestions mentioned earlier for what you need. The Dell XPS 13 and the Zenbook UX306 are both available with 16 GB of RAM, but you’re not going to squeeze those in 1000 EUR. Chances are you’re not going to squeeze the XPS with the 356 Gb SSD either, but the current Skylake model, XPS 9350, might get discounted down the road. Dell laptops are usually expensive over here in Europe though, so chances are you might have to either bump up your budget or go with a Zenbook, in which case the options for you are the UX306 and the UX330. The latter is probably the one theyțll ship in Europe, while the former is reserved for the US, from what I can tell right now. thanks a lot for your great lists! Can’t wait to buy it. I hope the new model won’t have CPU whining. Maybe you’d like to include it in your list. Hi, thanks for the heads-up, I’ve added it to the list. The Dell xps 13 is reported to have NVMe but the dell website specs say PCie – can you find out if a revision including NVMe is coming? Also, I’m not seeing any ultraportables with Intel Xpoint 32Gb/s NVMe connection, e.g. Intel Optane SSD. I think this would greatly increase some tasks on the typical ultralaptop, esp connected to a fast NAS. I don’t have any insiders at Dell, you should contact support and ask them about it, I don’t remember what kind of SSDs they’re using these days out of the top of my mind. Also, the Optane SSDs aren’t out yet, or am I wrong? Plus, they’re a new technology and it will be a while since most OEMs will adopt it, if ever. I’m not really seeing the potential benefits for the vast majority of users, PCIe and NVMe drives are fast enough of daily use and I’d rather see these drop in price than a faster solution. Missing Lenovo Flex (amazon has em), HP * x360 refreshes are out now as well (even on their site). It would be great to know what additional features are supported by USB-C ports on all those new ASUS laptops, especially UX410. Most important for me are: DisplayPort alternate mode and laptop charging support. There are now 4k displays coming out with USB-C support which might be a great solution for one cable docking, but only if laptop supports mentioned features. In general it’s a pity ASUS premium laptops lack support for 4k@60 external displays, I hope that usb-c and thunderbolt might change that. Thunderbolt 3 should support 4K@60Hz but most Asus laptops don’t support Thunderbolt 3. I’ll look into this matter though for a future article. Hey, Andrei! Thanks for this list, once again. I REALLY hope that HP will update the Spectre X360 15 inch with not only Kaby Lake but also with the same nice updated design that they've done with the x360 13 inch. Reading about what the new x360 13 has and the way it looks, it seems almost perfect for my taste and needs. The screen size and no 4K are the only things wrong with it for me. They actually got it thinner and now it's as light as the Samsung Spin and also it has 2 fans so perhaps the heat issue I hated in the last x360, will be taken care of. I keep checking Best buy and store.hp.com/us/en/mdp/Laptops/spectre-x360-348021–1?jumpid=cp_r163_us/en/pc_cons/nextgen/premiumlaptops/shopspectrex360#!&Tab=features If you click on the "buy" link next to the top left corner, it brings up all of the x360 models and the new one they just added is the x360 13 Kaby Lake. Sales said the 15 will be here soon but they couldn't tell me if it had an updated design like the 13. I like my current 15-inch x360 but I'd like to move up to Kaby Lake so it's either going to be an updated x360 15 for me or I may jump over to the dark side with a new MacBook Pro 15 if they are that good with hardware and design and if HP lets me down. I really don't see any other 15 Windows PC's that look really nice, thin, light and with a 4K display. The news Spectre 13 x360 seems like a really great device, but I haven't seen any proper reviews yet. The 15-incher could be a great choice of they go for a similar bezel-less design. Pretty good review, but not as good as yours. I'm not a big fan of laptopmag thee days, their reviews are rather superficial for my liking. How about hp probook and elitebook g4 versions? I guess the have kaby lake and are already available at least in US. In addition to the new Kaby Lake CPUs expect to see the new Nvidia Quadro P-series of GPUs. I follow this thread often. Any way to show which laotops are added since the last update? Not that I can think of, sorry. All Asus Zenbooks 15+ (the last table) are based on Sky Lake. 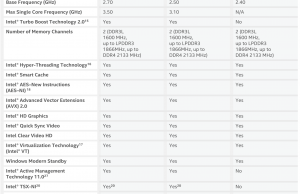 What is the status of Intel 200-series chipsets being available in laptops? It would be great to have the latest I/O and peripheral technologies (Thunderbolt 3, HDCP 2.2, Optane, etc) which should keep users from having to upgrade for another 3 years or so. Any word on when the Lenovo X1 Yoga will be updated with the Kabylake architecture? I'd reckon in January, Lenovo usually announces their new laptops at CES. Might happen sooner though, some series have been updated to Kaby Lake, but not the Thinkpads as far as I know. I'm also waiting for Lenovo X1 Yoga to be updated to Kabylake! Any idea when the Asus ux360ca will update to Kaby Lake? It's already available with the Core M3-7Y30 CPU in some countries (mostly in Europe), so I'd reckon it's only a matter of time until Asus rolls it worldwide. Great, thanks. I was gonna pull the trigger on the ux360ca this week, since its down to $899 CAD at Best Buy, but I'll wait for the Kaby Lake update at this point. I am most keen on ultralight convertibles with Thunderbolt 3, i7, 16GB RAM and 1TB NVMe SSD, and high-res screen. The Dell XPS is not available with 1TB, and both it and Spectre 360 are over $2000. Yoga 910 has no TB3. Are there other choices that you're aware of … or which are coming? My advice would be to get the XPS 13 with a 256 Gb SSD if possible, buy 1 compatible 1 TB stick, replace it and then sell the old 256 GB SSD or reuse it in another computer. Buying a 1 TB SSD from an OEM is always going to be expensive, and upgrading the storage on the XPS 13 is a simple task. Hi, I'm planning to buy a new laptop, for video and photo editing. I'll be using softwares such as Premier Pro, Wondershare Filmora, Photoshop CC etc. Would a Dell XPS 13 fit my requirements? Is it possible to configure an XPS 13 with Kaby Lake i7 quad-core processor and 16 GB ram? I prefer non-touch screen. Is it possible to get a UHD XPS 13 without touch screen? Thanks for the reply. I'm not particularly looking to buy a 13 incher. Besides I used a 15 incher for over 4 years. I want a portable high performance machine to edit videos and photos. Dell XPS 15 is also a top option for me. The only thing I don't quite like about XPS 15 is it's keyboard. Would an Apple 13' MacBook Pro fit my requirements? Battery life, performance, portability and display are my requirements. No touch screen, because it decreases the battery life too much. As long as your required software runs on a MacBook, that's an option. but the 13-inch Macbook is still powered by a dual-core ULV processor, albeit more powerful than what's on most Windows laptops. It's not on par with the quad-cores on those options though. Any word about when the XPS 15 will be available with 7th gen i7 (Kaby Lake)? the Kabylake quad-cores are scheduled for early 2017, so I'd reckon the updated XPS will follow a few weeks after the launch. As a gamer seeking the flexibility and mobile productivity of a 2-in-1 convertible, these quad core ultrabooks (18W H-series) with Thunderbolt 3 eGPUs options are very intriguing! Let's hope these reach consumers as soon as possible and without complications. Thank you Andrei for your list. But wait a sec, Aspire E15 will be equipped with IPS and Kaby lake ? Really ? When ? when will this page be updated? Thanks for your work on this, much appreciated! Any chance you'll be able to review/test the new Acer Nitro V17 793G (Black Edition)? When will the new optane ready computres become available? The Latitude 5000 series has up to an HQ option with Kaby Lake, but you only have U listed. I'm wondering if you're missing anything else with HQ. do you plan to do a test-review of the ASUS Pro B9440 ? Thank you for you effort. It's a bit old, but I might. Do you know a site selling the yoga 910s (12.5 in)? Hmmm, no, all I can find is the Yoga 900S with Skylake Core Ms. From what I can tell this 910S was never a reality, it was probably announced and that's why it made it to the list, but never actually made it into a real product. Hello Andrei, I am trying find the most up to date and fast fanless laptop. I am a bit confused between y, u, hq. Can you point me in the right direction and what to look for in the description? HI Gina. Core Y is what you should look for, also mentioned as Core M in some sheets. The latest offers are laptops with a Core i5-7Y54, Core i7-7Y57 or Core i7-7Y75 CPU, you can go on big websites (newegg, bestbuy, etc) and filter results based on these. You can also look at the Core Y laptops in this list, but although I try to keep this complete, some might be missing, so double check with the stores or with Google searches. Correction – Dell Latitude 15 5000 (5580) has a larger battery option at a whopping 92 Wh. While this configuration is only available in select countries, one can buy it in Dell store in any country to get over 20 hours of runtime, just like the Thinkpad T570 with its 104 Wh battery. Btw, the Latitude 5480 and 5580 are also configurable with quad-core HQ processors as someone already mentioned in the comments. I think the new Lenovo Flex 4 (14") has it. Might want to confirm, but it says 7th gen. Thanks for the list.